A few weeks ago, several LaLDers noticed that their content on Kinja was being reposted on various social media site under the name colecionador.es. 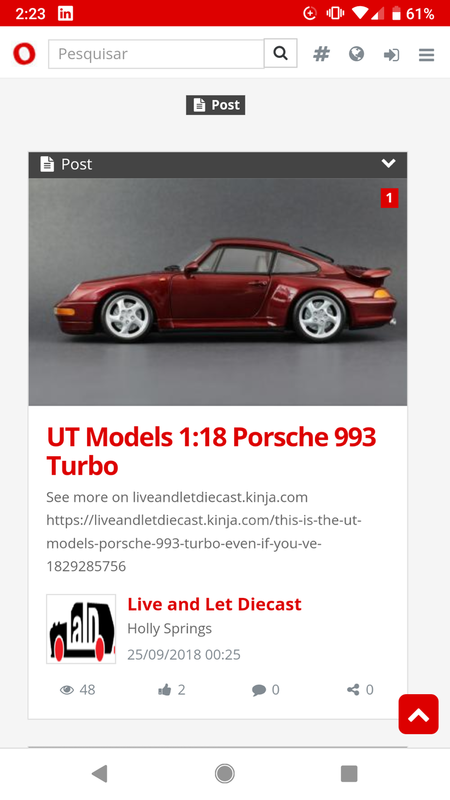 I was able to get in touch with the owner behind the site, and turns out he is one of us, only interested in spreading good content to the rest of the diecast community. Colecionador.es is based in Brazil, one of the biggest diecast fanbases in the world. Basically, colecionador.es acts as a bot that searches all of the internet for interesting diecast content. Then, all of that content gets posted on the colecionador.es site. Credit is provided to the author, and all links direct the reader back to the original source. T-Hunted has a colecionador.es profile, and now we do too! All LaLD content reposted by the bot will be posted under our profile, and all colecionador.es readers will get directed back to our site! It’s a great opportunity to tap into the huge diecast community in Brazil. There was a little bit of confusion and a language barrier to overcome, but I’m confident that a partnership with our new friends at colecionador.es will only grow our LaLD community!